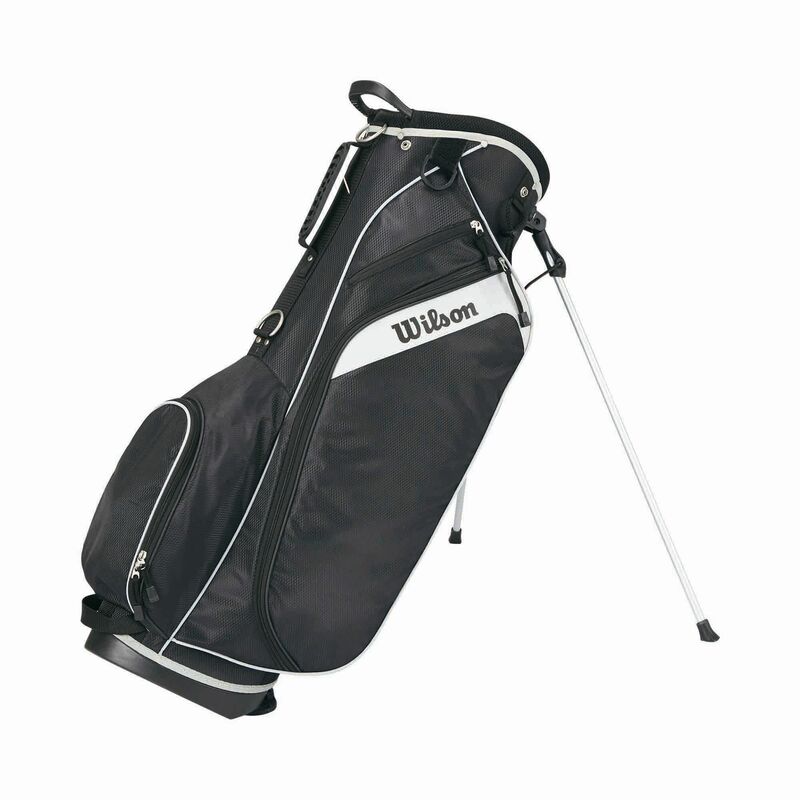 For excellent club management, the Wilson Profile Golf carry bag features a 10" x 7.5" (25.4cm x 19cm) top with a handle and 4 dividers and offers great shaft protection thanks to a mesh material in the top cuff. This lightweight bag weighs only 1.9kg (4lbs) and has a double-padded strap for comfortable carrying. It boasts 4 closed pockets including 1 large side pocket, 1 pocket for valuables, 1 accessories pocket and 1 large bottom front pocket, whereas for instant refreshment while playing, there is a special water bottle sleeve. Plus, a lightweight kick stand is top mounted to guarantee stability on uneven ground. for submitting product review about Wilson Profile Golf Carry Bag.